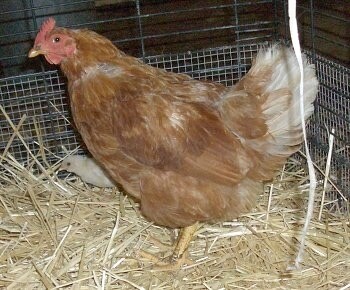 We didn't think those little Banty roosters had it in them since they are so much smaller than the Rhode Island Red hens, however we decided to let one of the hens lay on some eggs AND...! 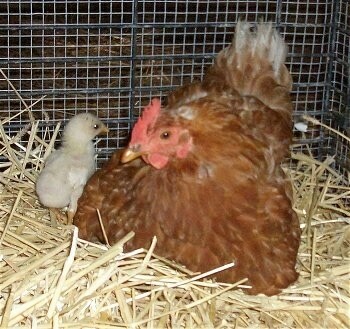 One little chick hatched. 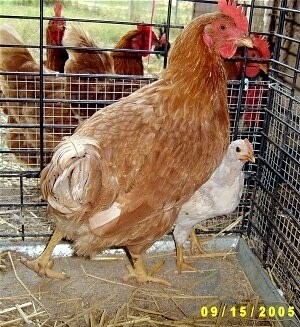 The chick’s name is Peepers. 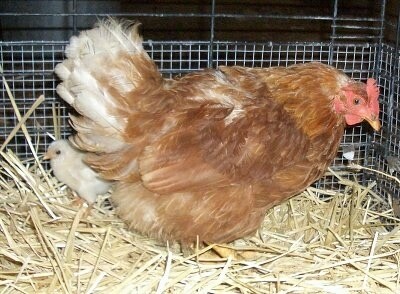 Only time will tell if little Peepers is a hen or a rooster and what color it will turn out to be. 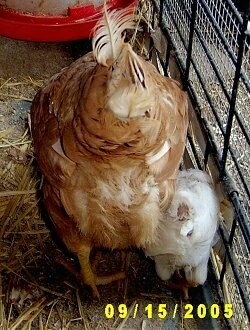 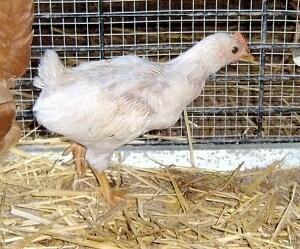 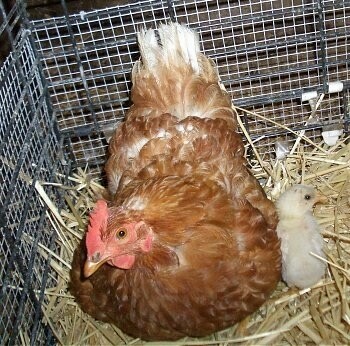 Peepers at one day old with mama hen; born 8-4-05. 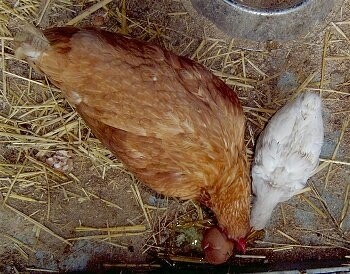 The other eggs became very stinky and it was apparent that only Peepers was going to hatch (notice Peepers in mom’s wing). 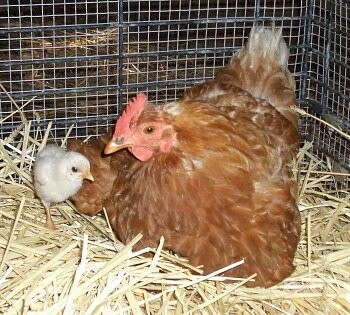 Mom and Peepers stick together like glue.